Head out to choose from one of the many restaurants in this charming city, maybe visiting a traditional beer garden, which are often the best places to sample the local food. You take the Danube Cycle Way today which follows the river for the whole of the day's cycle. You cycle through the wide verdant valleys of the Danube, passing pretty hamlets, stunning cliffs and lovely churches. En route you pedal through the spa town of Bad Abbach, with its relaxing gardens and lively cafes. Kelheim sits in the confluence of rivers Danube and Altmuhl. The town itself is a nice place to wander, or either cycle or take a boat trip along the Danube to the C7 Benedictine Abbey Kloster Weltenburg, complete with its own brewery and brewery museum. Alternatively, cycle to Abensburg to the Kuchlbauer brewery complete with crazy art deco tower! You follow the Altmuhl river today, which meanders its way through the stunning Altmuhl valley with its high peaks on either side. Look out for fishing herons and speedy kingfishers, and for the 'Tatzelwurm' - a waved wooden bridge spanning over 600m. Take time to wander around riverside Reidenburg and stop in one of the beer gardens en route. The pretty town of Beilngries is nice place to relax; there is a small toy museum or you can walk up to the Schloss Hirschberg , where you will find the rock cellar brewery museum. Alternatively, take a boat ride along the canal to pretty Berching, or pick the Altmuhl river and follow it to the Pfraundorfer See, a popular local swimming spot. Following the Sulz river out of town to the stunning village of Berching, you'll leave the waterways behind. Climbing a little you'll pass through pine forests, high meadows and small farming communities. You'll then descend through Dasswang and continue downwards to Parsberg and your upscale Bavarian-style hotel for the next two nights. Parsberg is a quaint town and you can visit the castle close to the hotel. Alternatively, leave the bikes today and take the train to Nuremberg, where you can explore the streets and walk along the completely walled old town. Admire the stunning Schloss that looms over the town and sample the Nuremberger sausage, perhaps the most famous in the region. Today you mostly follow the Schwarze Leber, as it flows into the Danube, passing through forests, beautiful villages and along lovely meadows. Look out for the popular climbing rocks and lunch at one of the gasthofs en route. Finish the day following the majestic Danube as you return to Regensburg for your last night in this jewel of Bavaria. 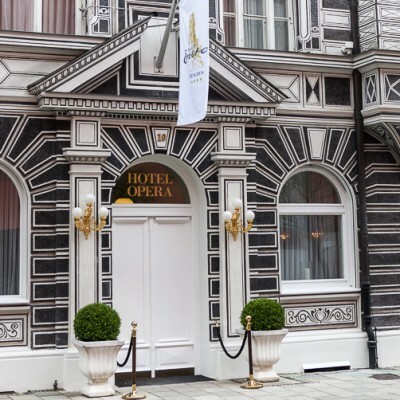 The Hotel Jakob is in an ideal location for old town Regensburg - the hotel is actually built into one of the old gates to the town and the building itself dates back to C18 and was used for over 100 years as a police station. The hotel offers contemporary styled rooms with warm wood tones in silver ash and shades of green, all with an ensuite bathroom, TV, high-speed internet connection and air conditioning. The friendly staff offer a warm welcome and professional service and the hotel's extensive continental breakfast buffet is a great start to the day. First rooms are bigger than the standard rooms and have a seating area within the room. 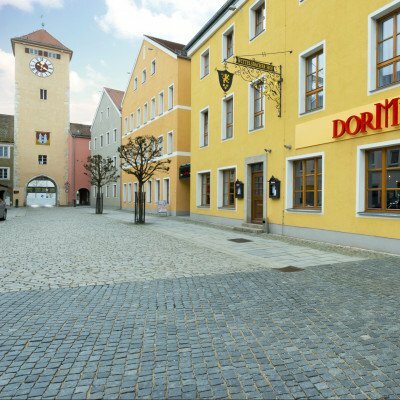 The Hotel Dormero is located in the semi-pedestrianised area of Kelheim just inside the old gates. The old building has been transformed inside to create a modern stylish hotel with boutique style rooms and a cool panorama bar. The superior room is a larger room offering some seating. The Hotel Fuchsbrau, located right in the centre of bustling Beilngries, has been owned and managed for five generations by the same family. Until the late seventies it was a brewery but has since been turned into a quality hotel. The hotel offers a cafe bar, a restaurant, a beer garden as well as a small fitness and sauna area. Guests have access to an open-air swimming pool which is 600m from the hotel. Dinner, in good weather, can be taken in the hotel's beer garden. Room upgrades: Superior Goldfuchs room, Junior Suite or Kaiserbeck Suite. First opened in 1883 on the site of a brewery and farmyard, the Romantik Hotel Hirschen has remained in the same family ever since. The hotel was heavily renovated in 1998 and been continuously upgraded since. You will find a hotel that manages to mix traditional Bavarian with a modern spirit, with excellent traditional dishes with a modern twist. The hotel has a large wellness area with sauna, steam bath and whirlpool, with an indoor swimming pool at the Garden Hotel (sister property) just 100m away. Look out for the hotel's own 'oxygen spring water'! It is ideally located in the middle of Parsberg, a short walk from the castle. I really enjoyed Bavaria, provision for cycling is excellent and when you have to use the roads the other road users are very sympathetic to people on two wheels. Excellent. we really enjoyed ourselves.and can't wait for next year's cycling holiday! Extremely enjoyable and good fun. Excellent bikes, hotels and food. A cycling holiday is the best way to see and experience a country, particularly in Bavaria. Nothing beats riding next to the Danube and decending through Alpine forest on a sunny day with hardly a soul around. We find German people very friendly and helpful. We have no problem anywhere we go. German drivers are patient and considerate to cyclists, unlike I dare some of those in the UK. The hotels used by Headwater are excellent. 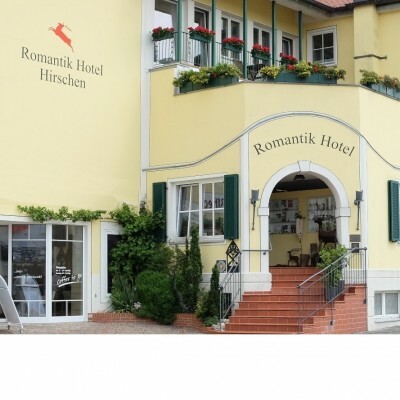 The Romantic Hotel Hirschen (Parsberg), in particular, is Michelin quality. The bikes that we were provided are good. My wife would have taken it home if she could. Our rep, Stephen Miles, is friendly, helpful and knowledgeable. Not only does he fit and equip the bikes for us but also provided useful hints that were not found in the brochure. It a bonus that he also turns out to be a very interesting person to talk to. All in all, we had a wonderful time and would recommend it to anyone. Just one word of caution, this is not a cycling holiday really for softies. The routes are not all flat. There is at least one section where there are significant climbs. However, any reasonably fit cyclist should enjoy this holiday. I recommend it. Great scenery with a good mixture of easy cycling along beautiful rivers and some medium climbs with great views. Excellent beer and ice cream in every town and village. Cycling in Bavaria provided us with a lovely holiday with very pleasant cycling along the Danube and other rivers. Good scenery along the way and some interesting towns to explore. Opportunities to visit other towns and attractions on 'rest days'. Good hotels, all well located. Every two days from 15th May 2019 to 14th Oct 2019, for 8 nights. All dates are subject to availability, please contact us to check. Transfers included from Regensburg train station at 16:11 and back to Regensburg train station at 11:30. 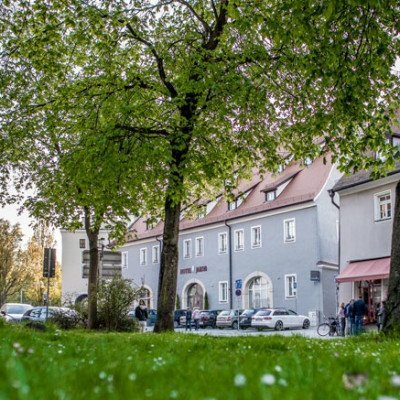 Due to the tailor-made nature of our holidays, we need a little more information in order for us to check availability for Bavarian Castles and Rivers Cycling. Simply complete the form below and a member of our sales team will contact you (when it's most convenient for you) to provide availability information, travel options and an accurate price. Of course there's no obligation, but if you do wish to proceed with a booking they will be on-hand to assist you throughout the process.